Do you need a simple yet very effective way of losing weight? Try walking! Walking is a great way to burn extra calories and even if you’re just walking around your neighborhood it’ll still fire up your fat burning and help you along the way to weight loss. Walking to lose weight is easy, simple and doesn’t cause pressure on the joints through heavy pounding. It causes far less wear and tear on the body than jogging for example so it’s fantastic if you struggle with joint issues. Walking not only burns calories but it also gets your heart rate up a little, especially if you make an effort to lift the pace! How much you get out of each walk depends on how fast you are walking but that’s the beauty of it, you can walk to your own level. Walking is considered as one of the best forms of exercise to increase metabolism and improve blood circulation. The increased metabolism helps to digest the excess fats in the body and thus helping you lose weight. It is an activity where all joints of the body are being used. You use your arms, your legs, your back muscles all at the same time. When walking pay attention to your posture. Stand tall, swing your arms and look ahead. Ensure that you do some easy stretches after walking and include the whole body particularly your shoulders and arms. Walking for 1.5 kilometers at a medium pace burns up as many calories as jogging for fifteen minutes – less the strain on the ankles and knees too. For those who are just starting to lose weight by walking, start by walking for at least 15 to 20 minutes 3 times a week and slowly adding the duration and frequency until they are walking from 30 to 60 minutes a day. Walk at a fast pace for 30 minutes burns off 150 to 200 calories. 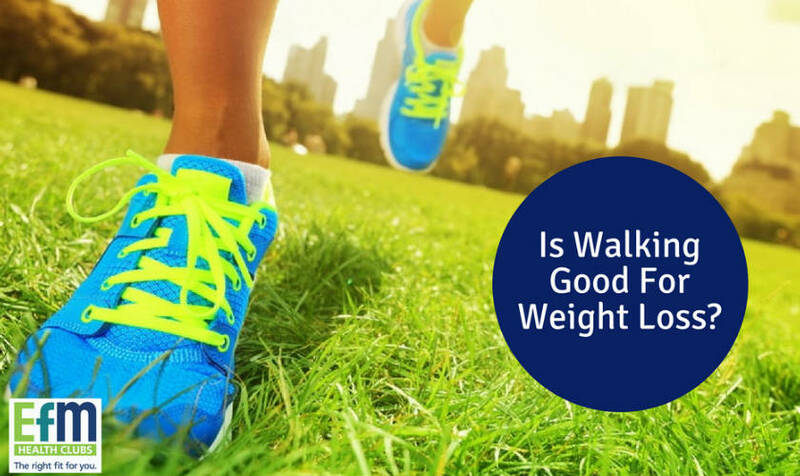 Walking at this pace daily can help you start off your weight loss journey. One thing you need to remember is that you need to burn 3500 calories to lose 0.5kgs of fat. So try losing between 4000 to 7000 calories on a weekly basis so that you’ll have lost a good 0.5 to 1.5kgs in a week. If there is a hill around, walk up to it! If you are planning on walking to lose weight, then my advice is ‘go for it.’ This a fantastic low impact method of exercise which is enjoyable, sociable and if done right, an effective way of shedding that extra weight.